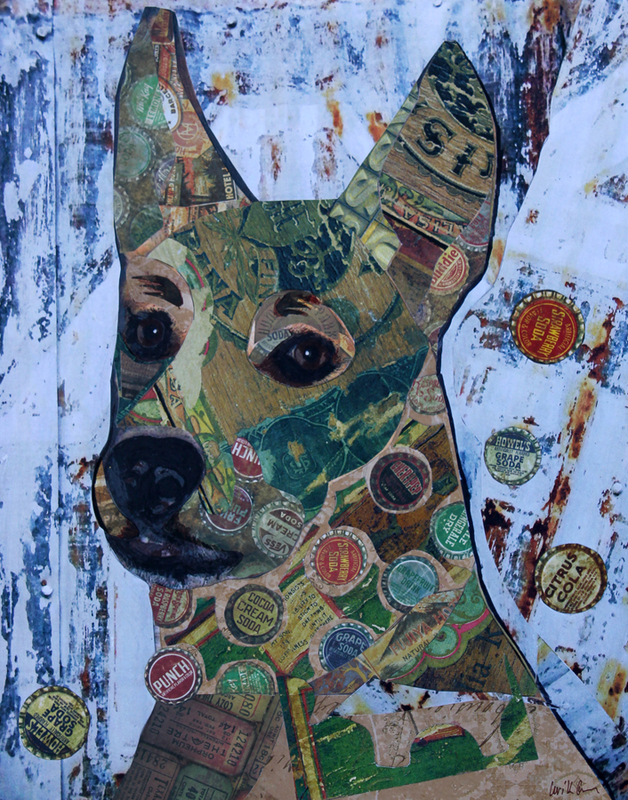 These collages are mounted on wood boards that are 11" x 14" x 1" deep, and they come wired and ready to hang. They can be framed if desired but are made "gallery wrap" style, with finished sides so framing is not necessary. All of the collages on this site are available for purchase, and I would be happy to create one of your pet, with a photo you provide. Email me at lorikgordon@gmail.com for prices and other details.